If you walk around the older parts of Vienna, you can see a few artifacts from World War II. 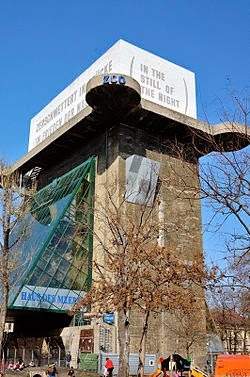 For example, when walking down Gumpendorferstrasse between the Gürtel and the Ring, you cannot miss a huge concrete tower, now a public aquarium (Haus des Meeres), that was built as a control tower to combat WWII air raids. Nearby is a shorter, but still massive, concrete structure that housed anti-aircraft guns. Three of these flak towers were built in Vienna with walls up to eleven feet thick, and they still exist. 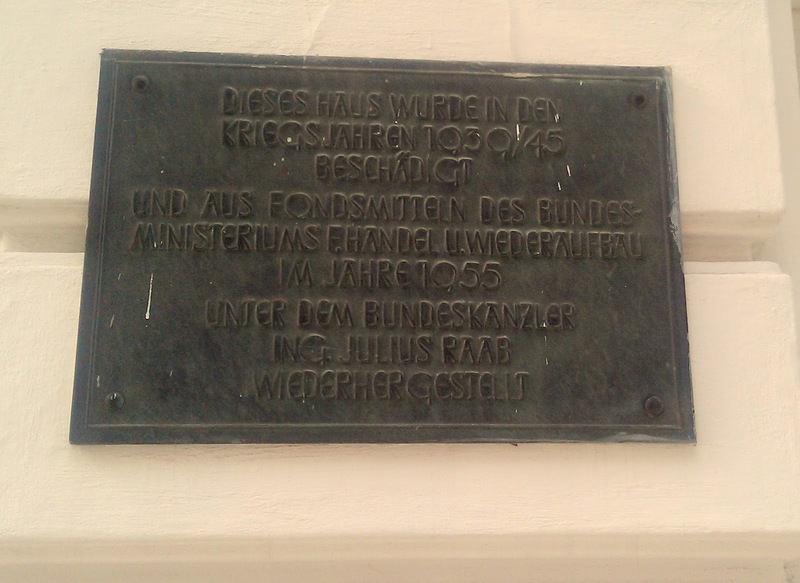 This sign says: This house was damaged in the war years 1939/45 and was rebuilt from the resources of the Federal Ministry of Trade and Reconstruction, under Chancellor Julius Raab, in 1955. These signs are most frequently seen in neighborhoods around train stations, though they are scattered in a seemingly random pattern throughout the rest of the city. For example, a building next to the Laudongasse building (9th district) where I had a room in 1971-72 had a sign showing it had been rebuilt following the war, but no other nearby buildings had such a plaque. 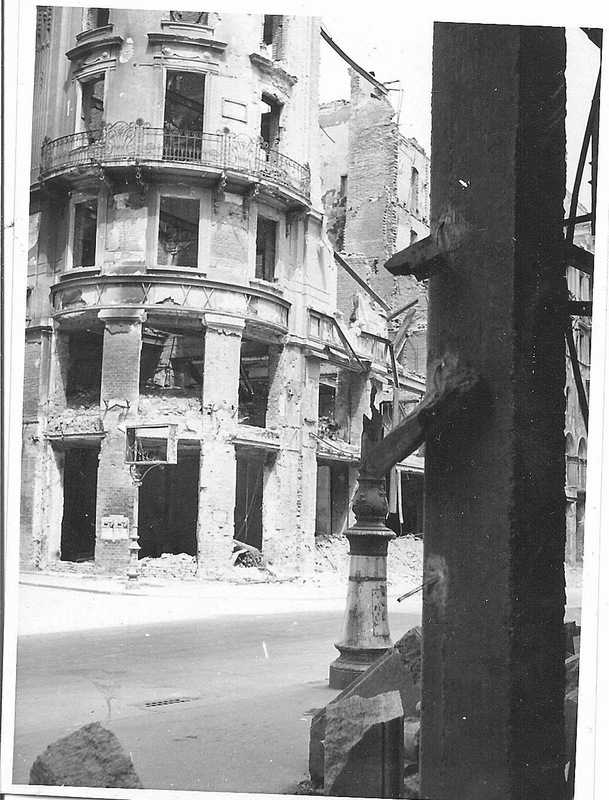 In thinking about what Vienna looked like in 1945, I have read enough and heard enough stories to know that the conditions were grim as Soviet soldiers attacked in early April 1945, and they became grimmer soon after that. Hitler had issued a "stay or die" order, and German soldiers fought fiercely, and to the end, for a lost cause. A book published in 1995 has chilling documentation of the Russian battle for Vienna. It includes over 400 pictures taken by Russians that had not previously been published. 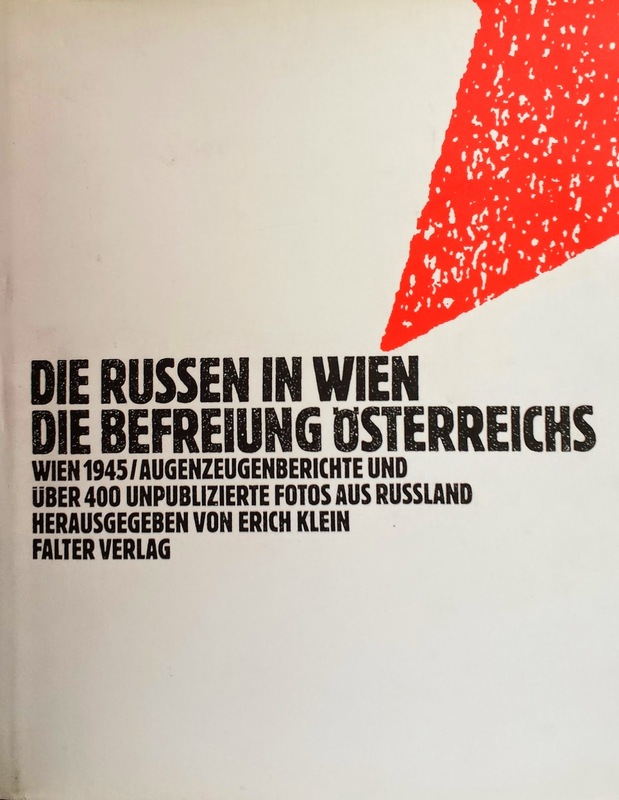 The book is titled Die Russen in Wien, Die Befreiung Oesterreichs (Russians in Vienna, the Liberation of Austria). It contains pictures of the battle for Vienna and the occupation that followed. 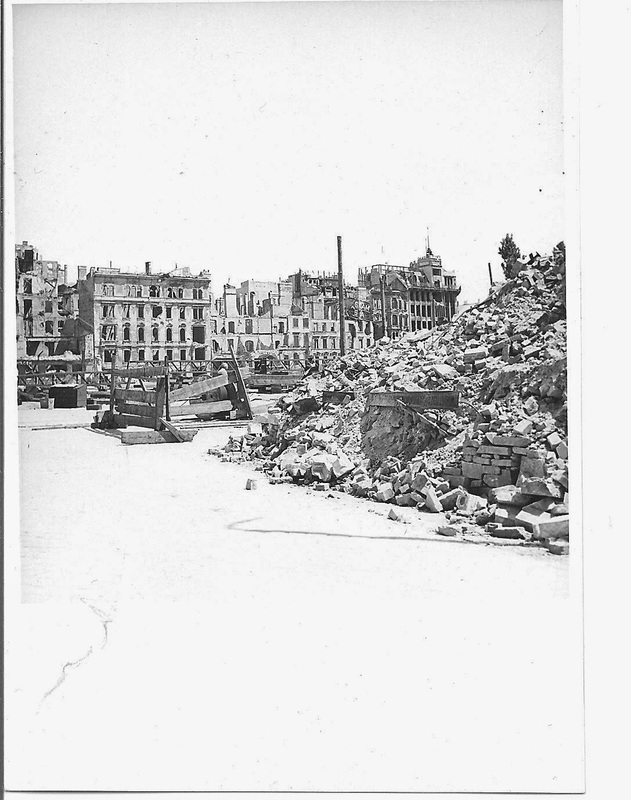 It shows the devastation that came with the liberation. He was a young kid living with his grandparents. 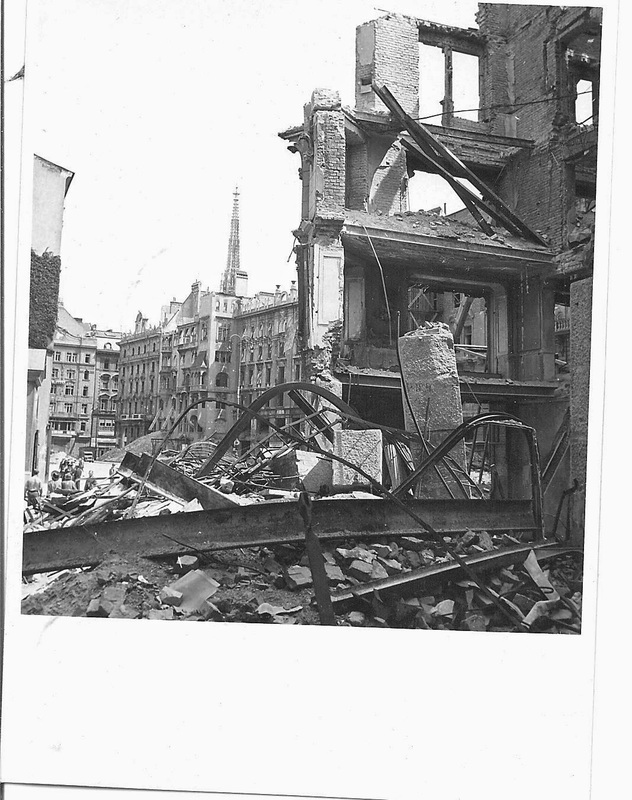 As some Russian soldiers approached the street where the apartment was located, they were fired upon by German soldiers from the roof of his building. After an exchange of gunfire ended, the Russians ordered everyone out of the building and lined them up in front of it. Jörg was in his grandfather's arms. As his grandfather saw that the Russians were preparing to shoot everyone -- they suspected that some of the residents had shot at them -- he tossed Jörg to one of the Russian soldiers standing nearby. About this time, German soldiers, who had moved to another building, starting shooting again at the Russians. The Russian soldier who had caught Jörg tossed him back to his grandfather, and the Russians turned their weapons toward the shooters, sparing the group in front of the apartment. Such stories make vivid the situation in Vienna as Russians drove the German military from the city. Many stories of suffering, survival, and recovery can be found in the memoirs of people who lived through the Russian liberation of Vienna and the desperate months that followed. Unfortunately, most such memoirs have not been translated into English. 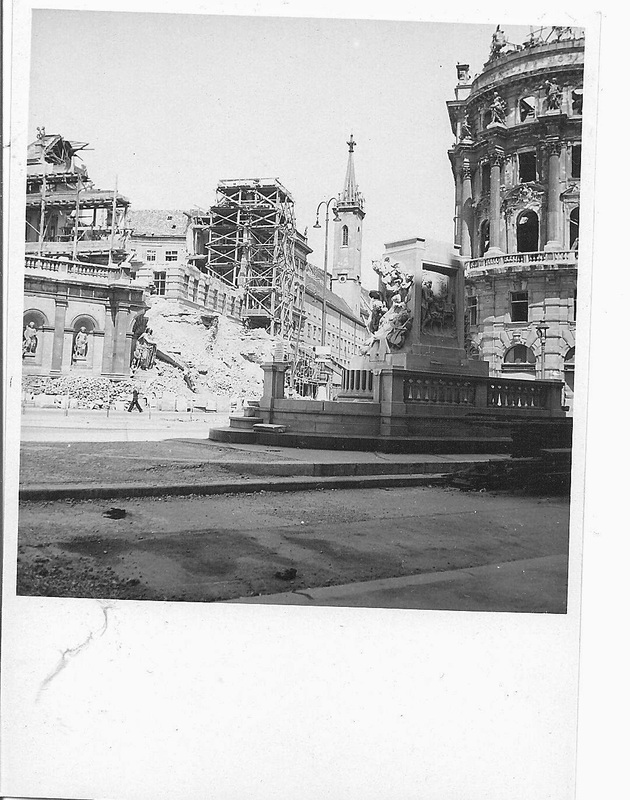 In my curiosity about the post-War situation in Vienna, I bought on eBay some pictures taken in Vienna in 1947. 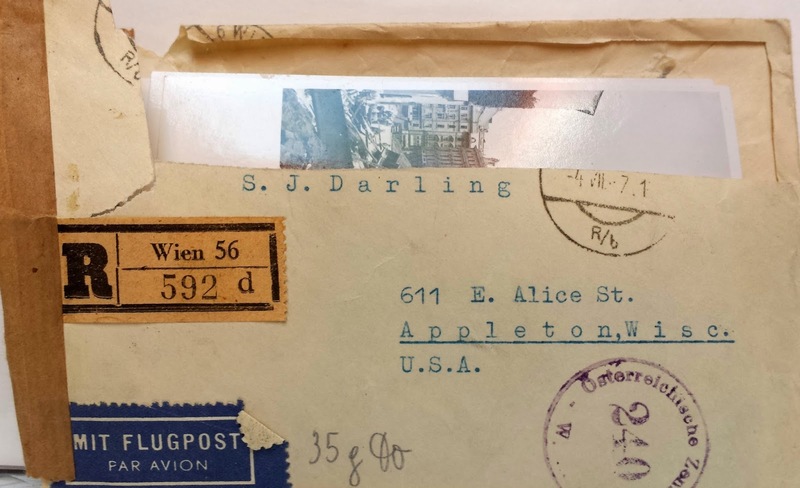 According to information on the envelope, they were mailed by K. Redl, who lived on Döblinger Hauptstrasse (not far from the Döbling apartment where Jörg was staying with his grandparents) to S. J. Darling in Appleton, Wisconsin. A stamp on the front of the envelope shows that they were cleared by Austrian censors. The post office cancellation stamp is dated July 4, 1947. They reached Appleton on July 14th. The postal stamps have been removed from the envelope, probably by a stamp collector. The letter included 20 photographs. The location where each photo was taken is shown on its back. 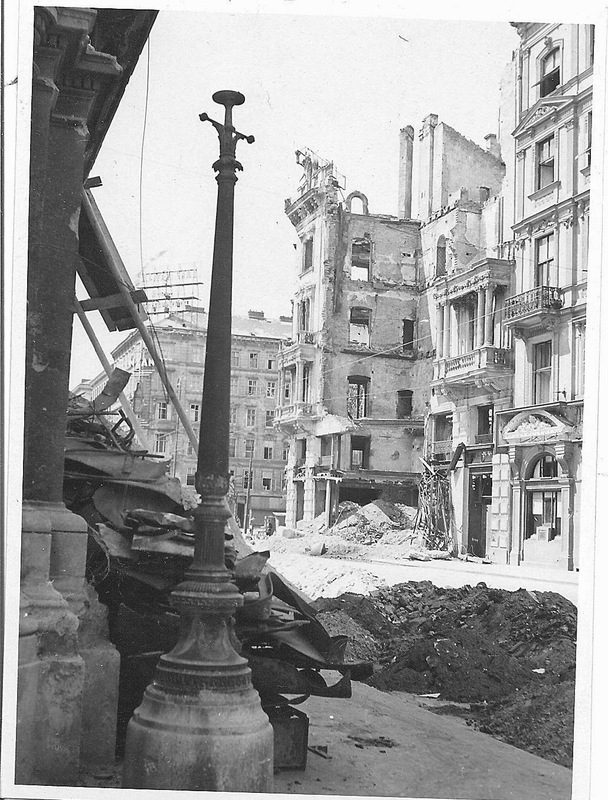 These pictures show that in 1947 much of the bombing damage in Vienna had not repaired. Much work remained to be done. 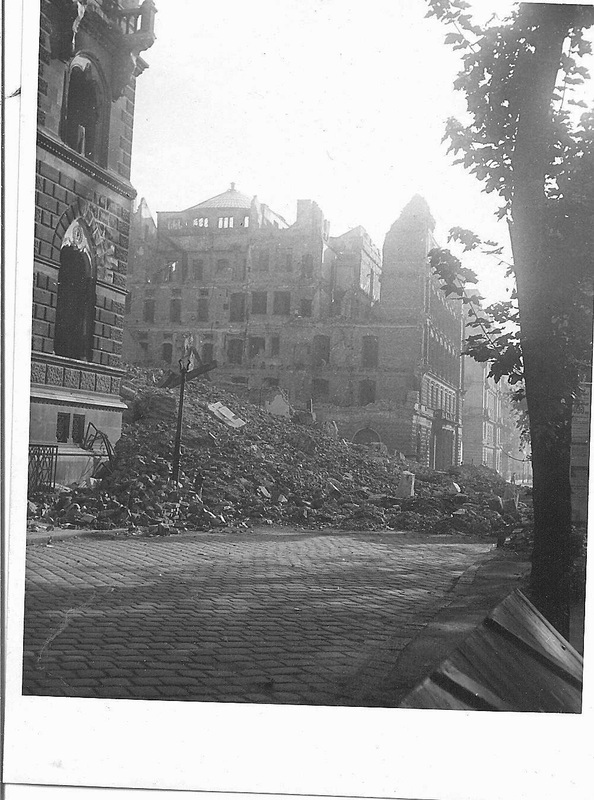 Photo of Tegetthoffstrasse, between the Augustiner Rampe and Neuer Markt. 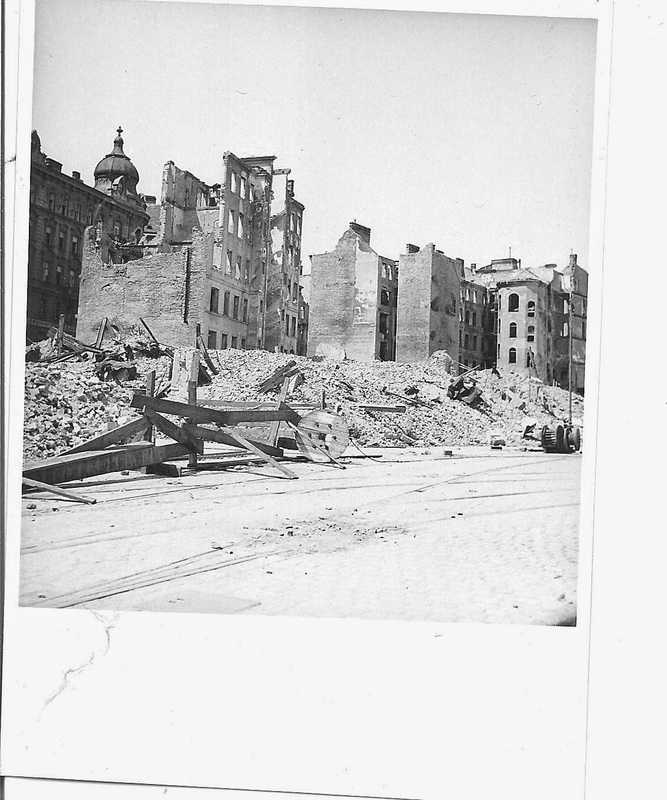 Photo Captioned on Back: "Döbling View from my House"
I lived in Vienna as a boy from 1963 to 1968---my father was the head librarian of the IAEA. 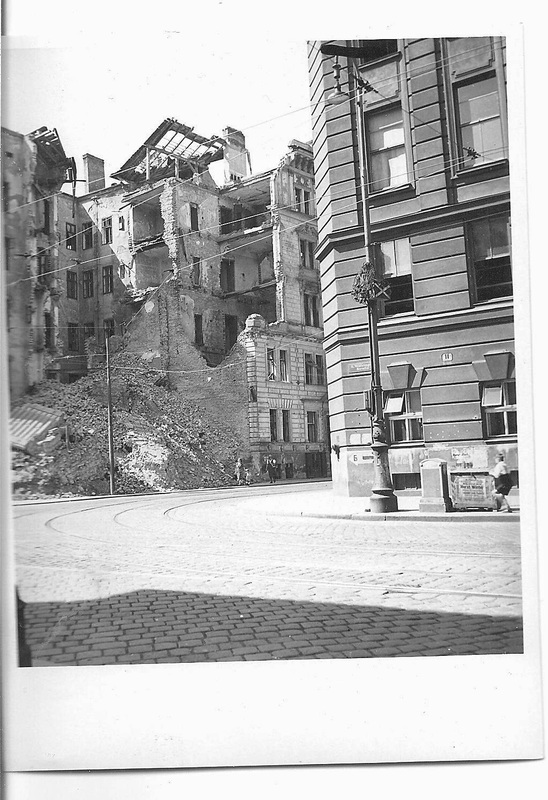 We lived in an apartment on the Hofzeile about halfway between Billrothstrasse and Doeblingerhauptstrasse. I often played in and explored the catacomb-like cellars of some buildings there that had vanished during the bombing. I used a flashlight to navigate and it was fascinating to see artifacts from the war period and the time before. That is a vanished world! Sorry for no responding to your comment earlier. Our time in Vienna overlapped a bit. I was there during the 1967-68 school year at the Institute of European Studies. I lived in the 1st District, near Judenplatz, but never found cellars to explore. Hello Dan, I am Chen who is living in Vienna at the moment. 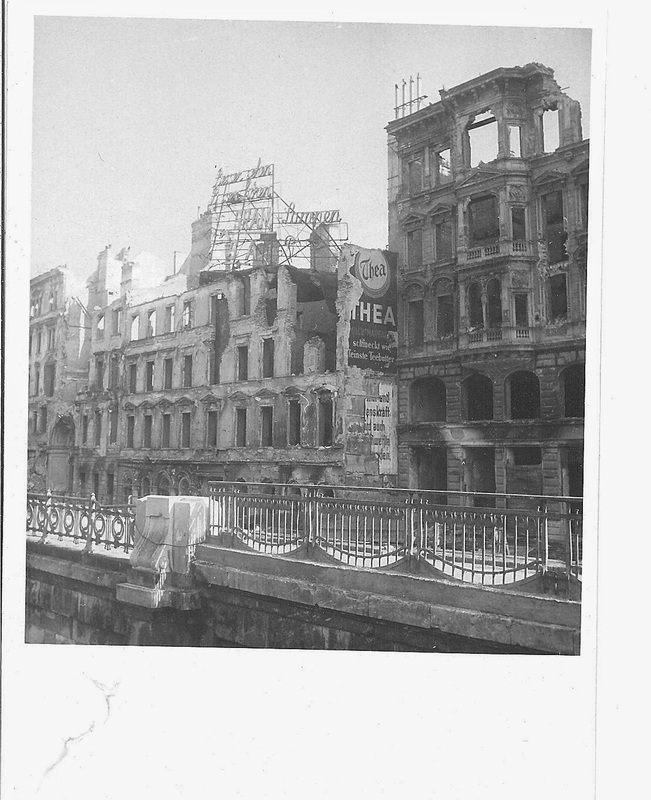 I am very interested on the repairing of the damaged apartments in Vienna, and am writing a blog for it. 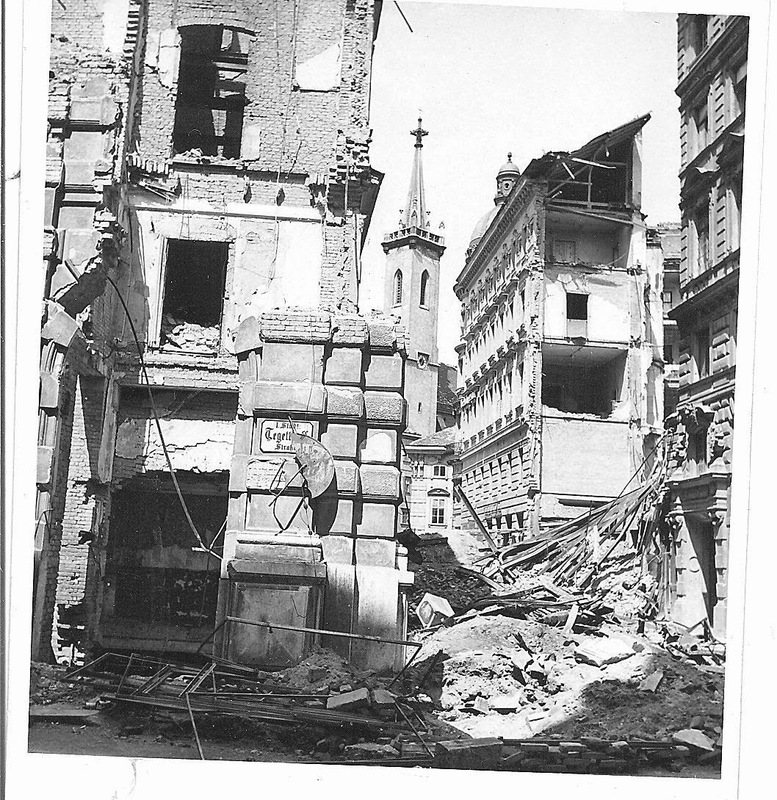 I wonder if it is possible for me to cite one of the photos in this blog, to show the damaged streets in Vienna? For sure I will make it clear that the photo is cited from you and K. Redl who delivered the photos. Please let me know what do you think, thanks a lot! Thanks for your note. Please feel free to use any of the photos for your blog. I hope you are enjoying life in Vienna. I am looking forward to spending some more time there in late October - early November. 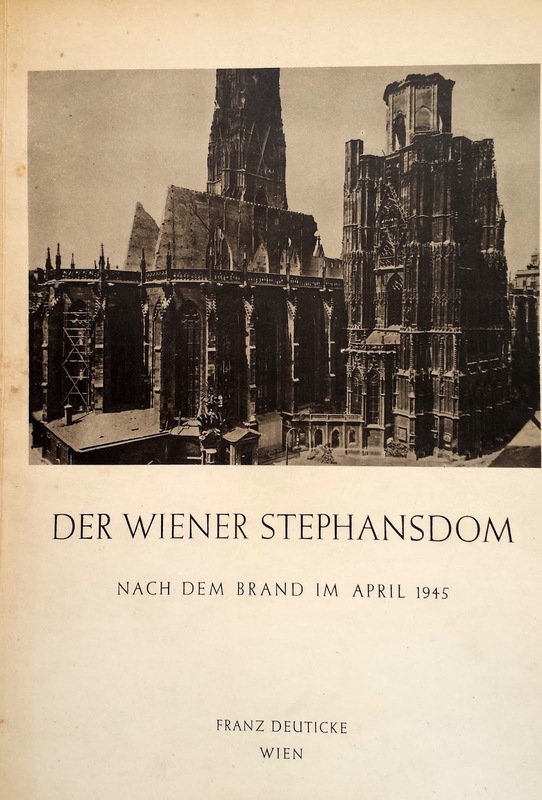 Thank you for posting the historical information about Vienna. I'm an author doing research for the background of a character whose grandparents were wealthy, assimilated Jews living in Döbling between ~1905 and 1939. I'm trying to locate the putative family villa through maps and photos of the area in that period. I'm not having a lot of success finding such things, though. Alas, a research trip to Vienna isn't in the cards anytime soon. Do you have any ideas where I could find helpful sources? Thanks in advance. All, This all makes very interesting reading. 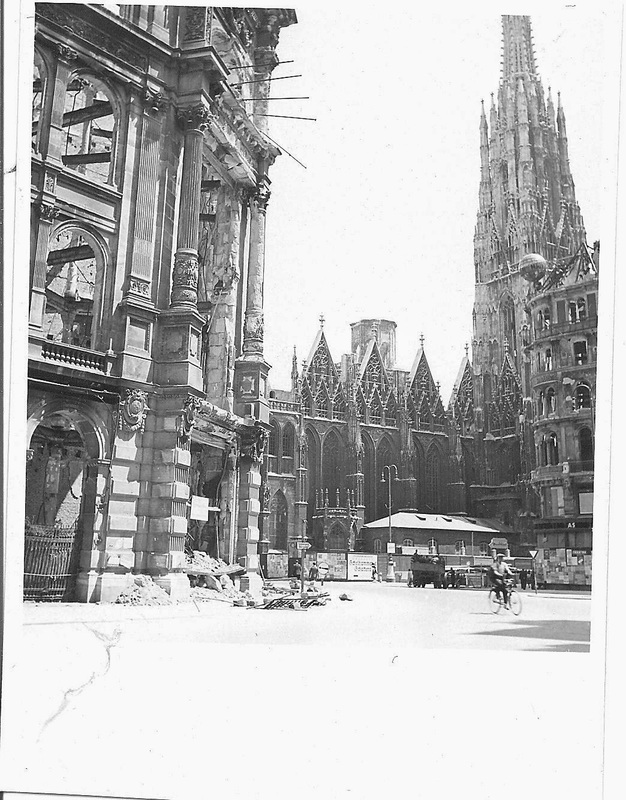 I stumbled across these articles whilst researching an Austrian stamp from the period that shows the bomb damaged St Stephens church and spire. If you'd like to view the stamp then please explain how to upload images onto this site ? Interesting article. 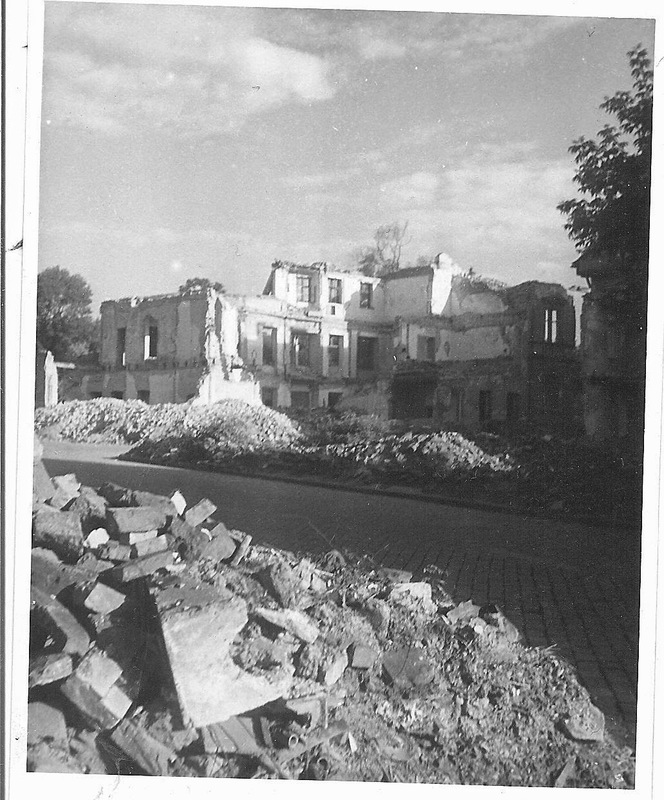 It should be noted that much of the heavy damage was not caused during the siege (by the Red Army) but by aerial bombing (Anglo-American) prior to it. Of course, it was war. Thank you for these photos. 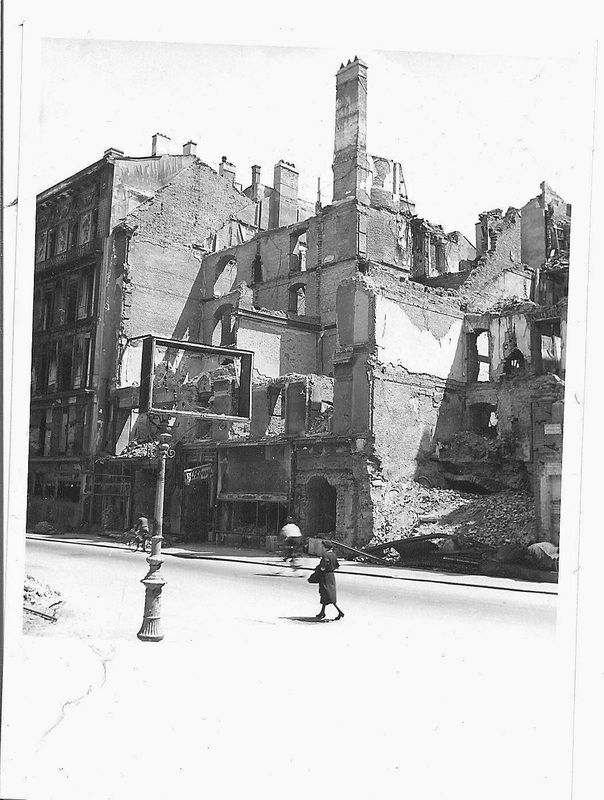 I go back to Vienna at least once or twice a year and always look for the areas that have been bombed out. I've been by almost all of these areas and will enjoy seeking these out again on my next trip.